FULTON, NY – James Edward Healy Sr., beloved husband and devoted father, passed away Wednesday January 1, 2014, after a brief illness at St. Joseph’s Hospital, Syracuse. James was born August 25, 1937, in Fulton, a son to the late Betty Van Buren. He graduated from Mexico High School and in 1959 married Ellen Maher. James worked at Sealright for 40 years, retiring in 1996. He enjoyed camping, fishing, tying flies and spending time with his family and friends. 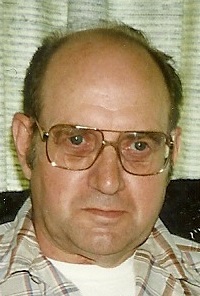 James is survived by his beloved wife of 54 years, Ellen V. Healy of Fulton; two daughters, Sherry (Richard) Martuza of Arkansas and Terry Healy of Fulton; one son, James (Mary) Healy of Baldwinsville; a sister, Patricia Hines of Fulton; seven grandchildren, Jennifer (Chris) Kent of Fulton, Jamie Demars of Florida, Kristy Phillips of Boston, Alicia Healy of Baldwinsville, Keith Healy of Fulton, Jessica and Josh Martuza of Arkansas; as well as four great-grandchildren. Calling hours will be held 2 to 4 p.m. Sunday at Foster Funeral Home, 910 Fay St., Fulton. Contributions in memory of Mr. Healy may be made to the American Cancer Society, Memorial Processing Center, 6725 Lyons St., P.O. Box 7, East Syracuse, NY 13057.